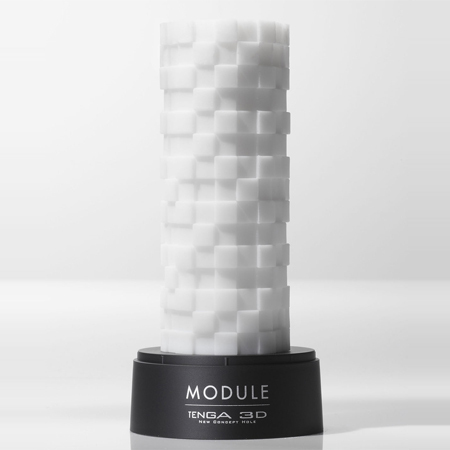 The Tenga Modular 3D masturbator presents a construction of protruding squares right up the shaft. Those that product the most provide a strong sensation, whilst the indented squares are softer in effect. Combine both of these sensations together and you experience a real symmetrical stimulation. The Tenga Module 3D masturbator presents a construction of protruding squares right up the shaft. Those that product the most provide a strong sensation, whilst the indented squares are softer in effect. Combine both of these sensations together and you experience a real symmetrical stimulation. 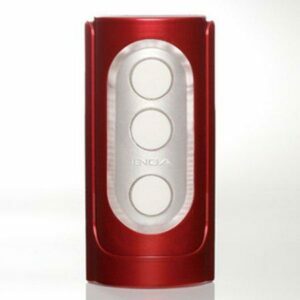 Tenga’s Module 3D is made from body safe (Phthalate Free) silicone which is formed into a reliable, stimulating design. Turn the silicone cone inside out and experience the incredible sensations derived from the spiraling form. Stand provided to keep product upright and clean.